This temple is situated near Nagercoil in Mandaikadu. It was built in the simple Kerala traditional style. This temple is devoted to the worship of Hindu goddess Parvati locally known as Bhagavathi. The holy trees of this temple are the Bo Tree and Neem tree. Pujas are performed here four times daily. There is an anthill that is worshipped by devotees as Bhagavathi Amman. The anthill has five heads. There is a belief among the locals that the anthill is still growing. Currently, the anthill has the height of 12 feet. One folk story has it that His Holiness Sri Sankaracharya was performing Srichakra Puja with his disciples here. After the puja, he did not leave but stayed there and attained Samadhi. An anthill began growing at this spot where the Srichakra existed. This anthill on many occasions has hurt and injured children who were playing games and activities. As a result, Marthanda Varma, the king of Kerala decided to build a temple here and perform pujas regularly. Another legend has it that Velu Thampi, a minister of Travancore, conquered a local villager at Colachel and took over the temple. Today it is a famous temple blessing the devotees. This temple is famous among its devotees for fulfilling the wishes and prayer requests of the devotees. Devotees offer silk and Mangalsutra to the goddess in the sanctum. Those that are handicapped offer gifts made of silver believing that they will be cured. Those devotees that want to be blessed with children offer cradles in the temple. To free themselves from the effects of evil looks devotees’ firecrackers. In this temple, there is a custom known as mansoru eating which involves devotees placing food on the floor and then eating it. This temple has special days. These are Tuesdays, Fridays, Sundays and the full moon day (Poornima). During the Tamil month, Masi is celebrated as Mandaikadu Kodai Festival. This is normally between the months of February and March. The festival starts ten days prior to the last Tuesday of the Tamil month. The devotees carry the goddess in processions through the streets. The Mandaikadu Kodai festival is a popular celebration among the locals in this place. The local people flock here, especially women to take part in this festival. During the Tamil month of Panguni star, people around Mandaikadu area commemorate the birth of goddess Mandaikadu Amman. Since there are plenty of festivals and rituals going on through the year, visiting the temple anytime of the year is a real joy. 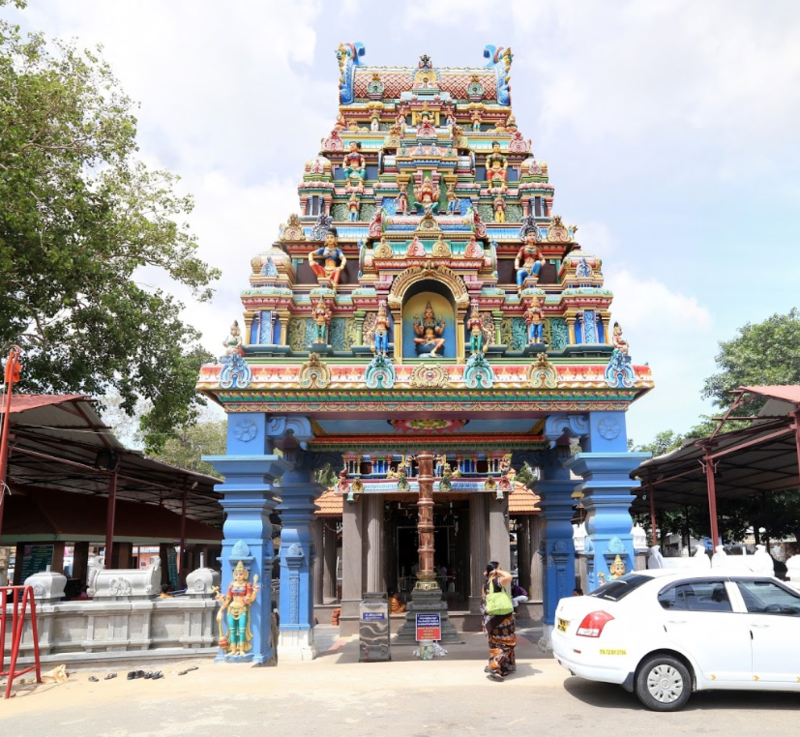 Mandaikadu Amman Temple is opened for visitors every day from 0500hrs to 1230hrs in the morning and from 1800hrs to 2030hrs in the evening. Pujas performed on Tuesday, Friday and Sunday are believed to be special, and it is important to respect the time of the pujas.